Here's everything you need to know about The Urban Mutt! But if we haven't covered it here, just drop us a note if you have a question. 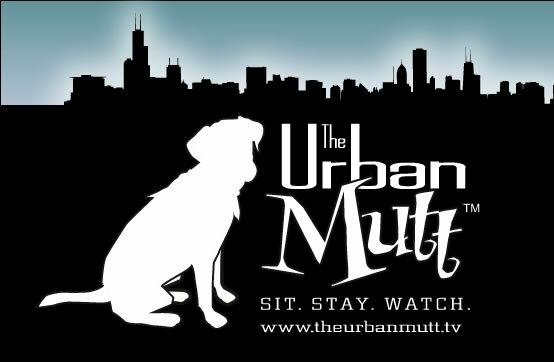 We created The Urban Mutt to show pet owners all the great things the Chicago area has to offer. We’ll take a look at everything from dog parks to pet spas, and more importantly, we’ll highlight the work of all the various pet rescues and shelters in the city. The idea was to highlight some of these places that people might not know about, so they could do more things with their four-legged friends. So now that you know what the show is all about, maybe you’d like to learn a little bit more about the people (and pets!) that make it happen. From his humble beginnings at PAWS Chicago, Guinness has grown into a sweet-tempered, Swiffer-chasing, all around good pup. 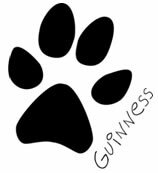 With a penchant for squeaky toys and a notorious love of food, Guinness manages to nuzzle his way into the hearts of everyone he meets. His favorite activity, besides chasing the laser pointer and playing fetch, is just lying around which you will see him doing very often if you watch the show. Hmm, so I have to write about myself now… well, I’ll begin at the beginning. I grew up in Pinedale, a small town in Wyoming. Even when I was little, I fancied myself some kind of Dr. Doolittle and befriended cats, dogs, chipmunks, a raccoon, and even a skunk! Many years later, I found myself in Chicago, working on a television show, and dating a die-hard Sox fan. Needless to say, there are no skunks in our house, but we have adopted not one, not two, but three crazy pooches. Between the dogs, the show and what seems to be non-stop remodeling, I stay pretty busy, but I still find time work on new projects and take in as many Sox games as possible. As a native of Michigan, Shane grew up certain he'd be playing left field for the Detroit Tigers. Upon his understanding of how much skill would be needed to pursue such a job, he decided on production instead. Taking his degree from Central Michigan University, he headed west to the great city of Chicago where he landed a job with a leading production company. There he honed his skills for three years before landing the position of producer with The Urban Mutt. 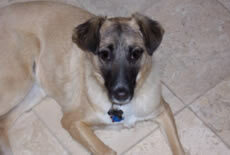 Cynthia was born and raised in Chicago, and never had any pets while growing up. So, for those of you who know her, I bet you never would have thought she’d have three dogs… but yes, it’s true. The dogs certainly keep her on her toes… shoeless toes that is. Shortly after adopting Bear and Guinness, they chewed up her favorite winter shoes. Not to be outdone, Peanut followed suit by chewing up her favorite pair of high heels… but she doesn’t complain, after all, they are just pups. Cynthia’s fascination with the plethora of dog treats available for our mutts was part of the inspiration for The Urban Mutt. I can personally attest to the dogs having more food than we do… their cupboard is always full, while our pantry has a box of mac-n-cheese, some chili and some Cheetos in it. Most importantly, Cynthia manages to keep the fur under control in the house with her arsenal of Swiffer sheets and lint rollers. I’m still mystified at how it’s possible for the dogs to shed that much hair and not be bald. These two, how do I even begin to describe them? I guess I’ll talk about Bear first. Cynthia and I got Bear when a friend called and said someone had found a puppy abandoned in a lot in the middle of winter. Once we saw him, we just couldn’t let him get taken to Animal Control, and thus began our dog adopting crusade. Shortly thereafter, we got Guinness, and soon Bear’s name could have been changed to “I Can’t Bear To Be Without Guinness!” He is Guinness’s best buddy and greatest fan (although sometimes I think he just wants to be part of the limelight), and would probably follow us all over the city if I’d let him. He enjoys staring at Guinness and running around with a toy in his mouth trying to get Guinness or Peanut to chase him. If there were ever a dog who thinks he should be a person, it would be Bear. What can I say; he’s just a funny dog. Peanut is our most recent adoption. 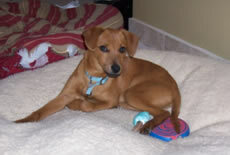 We saw him at a Chicago Ridge Animal Welfare League adoption event and Cynthia was instantly smitten. I tried to resist, but who could say no to his little puppy face? Next thing we knew Peanut was part of the pack. At first he was afraid of just about everything, because he apparently came from a puppy mill (for those of you who don’t know how I feel about puppy mills, please refer to my “least favorite thing” above), and didn’t even really know how to walk on solid ground. Instead, he sort of “hopped” from place to place… funny but heartbreaking all at the same time. Slowly but surely though, Peanut has gotten over his fears of stairs, people, vacuum cleaners, and just about everything else, and is now a happy (and very feisty) member of the household. So there we are, The Urban Mutts; gears in a machine, pieces of a puzzle, all for one and one for all… you get the point. Most importantly, from our pack to yours, thanks for visiting the website and we hope you enjoy the show.